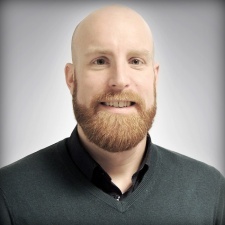 Dutch publisher Spil Games has promoted Patrik Wilkens to a position as the company’s new VP of mobile. Wilkens’ new role will see him leading efforts in the company’s current strategy of taking its catalogue of existing browser games and porting them to mobile. He’ll be looking at games with the strongest in-app purchase potential and bringing them to smart devices. Spil Games has already found a foothold on mobile, with its games generating over 300 million downloads to date. More recently, Spil Games’ Troll Face Quest series alone broke 100 million downloads. Wilkens added: “Spil Games has great mobile products, and our strategy has established a number of successful games in terms of reach, with many already showing promising revenue numbers. Wilkens’ appointment marks the third internal promotion in an effort to build a new management team at the head of the company. Spil recently promoted COO Timm Geyer to the position of CEO.